Though Kesar is sparingly used in kitchen, it is very useful and filled with remedial qualities. Here we are giving its full introduction and discussing its medicinal qualities and characteristics as mentioned in Ayurveda. 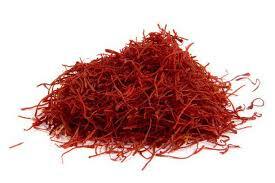 Kesar is primarily found in Kashmir region of India. Globally, it is found in Spain, France, Italy, Greece and Turkey. 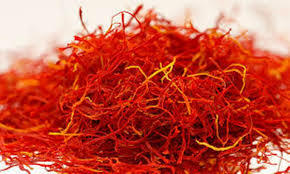 Kesar is dry, sour, dextrous, peppery, piquant and sleek. It is good for complexion and keeps the Tridosha away. If Kesar is genuine and is kashmiri Kesar, then it is in best form. According to some ayurvedic texts, Kesar from Kashmir region is light and thin With a fragrance like a red lotus flower and it is the best in quality. Color of original Kesar is dark orange. To test the genuine Kesar try putting it in spirit. If its color is not mixed in spirit or its elements are not leaving it, then this Kesar is original. If the Kesar is duplicate then its color will mix with spirit and the true color of fake product will be exposed. Genuine Kesar comes in a sealed packaging so instead of buying open Kesar it is better to buy seal-packed genuine packaged Kesar. Uses of Kesar – it is best to mix Kesar in milk and drink at bedtime in winter season. Its use provides relief in nerves system weakness and low blood pressure. It provides strength and agility to the body. Sexual energy remains strong and laziness go away. 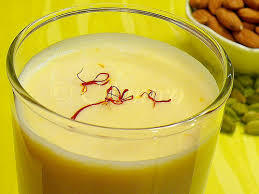 Mix 4-5 strands of Kesar in 1-2 spoonful of milk and prepare a solution by mixing and grinding it. Then put this solution in a glass of milk and drink it regularly. Mixing Kesar with face wash and cleaning the face with it provides a fairer complexion to the face. Drinking Kesar by means of mixing it in milk provides relief in cough, sneezing and cold. Kesar should be used regularly in winter season. Kesar is warm in nature.